Thanks for subscribing to MY Book Club! You'll receive an email each time we are starting a new book and with details about each meet-up. Come one, come all! We are excited to continue strengthening and growing the Midtown Yoga community as we introduce the MY Book Club! If you’ve taken a class in the studio, you’ve most likely noticed our selection of books available for purchase in the lobby before or after your class. Our studio book collection is handpicked by Midtown Yoga owner Emily Wallace who has dreamed of starting a book club since before our doors opened. “I always wanted to join a book club myself, but I felt like no one in my circle (including me) really took the leap to be in charge of it and we all just made excuses,” she said. Emily hopes that the MY Book Club will be an opportunity not only to read classic and new bestselling works but also to get to know your fellow yogis off the mat. Not a Midtown member? No worries. MY Book Club is open to anyone and we encourage you to bring your friends along to join in on our monthly discussions. These monthly meet-ups will be an opportunity to mingle and create new connections as we discuss the book and announce next month’s pick. Subscribe to the MY Book Club email list to be the first to know about this month’s material and meeting place. Purchase the book after your next class at the studio. Midtown Yoga members receive 10% off all books! Mark your calendar for our monthly book club meeting and come prepared to meet new friends and share your thoughts. 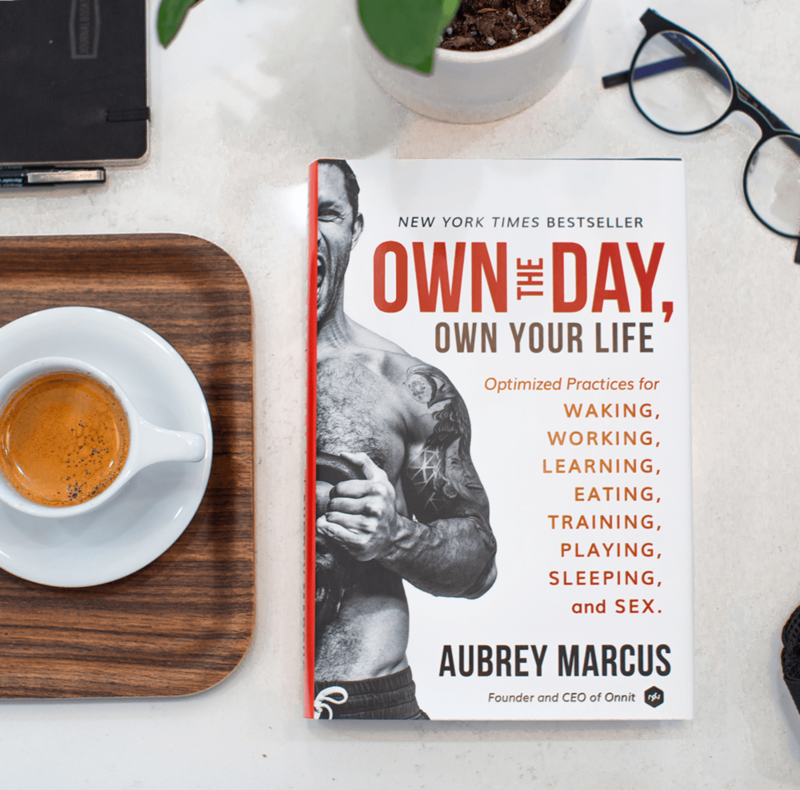 We’re officially kicking off MY Book Club this month with Own the Day, Own Your Life by Aubrey Marcus, available now for purchase at Midtown Yoga. Our first meet-up will be on April 25 at 6:30 p.m. in the studio lobby. We can’t wait for you to join us on this new journey!